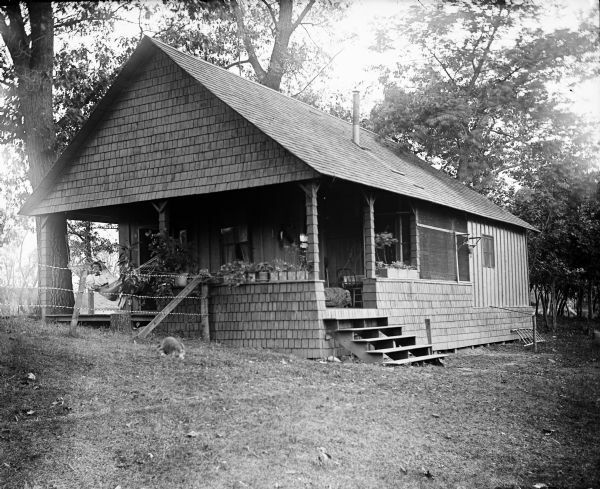 Three-quarter view of the Thwaites cottage on Lakeside. On the left a young woman is sitting in a hammock on the porch behind a fence. In the yard in the foreground, there appears to be a dog lying in the grass. The roof of another building is in the far background.